The event of launching a fantastic mobile phone was held in Nairobi, Kenya on the 23.03.2017. 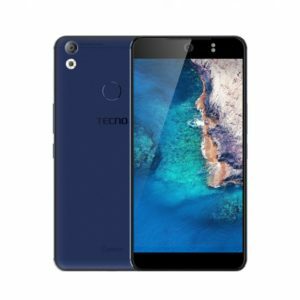 IT is the Tecno Camon CX Phone, which is like no other. Having received ours, we are here to inform you about the ten amazing things you can do with the techno camon Cx phone. Having received ours, we are here to inform you about the ten amazing things you can do with the techno camon Cx phone. With its fantastic camera quality, everyone appreciates a good selfie that is worth posting on social media, with this Tecno Camon CX Phone, you rest assured of a selfie experience that is very satisfying. In selfie experience, camon Cx is fare better of all other costly devices. Did you know that the Camon CX comes with 16MP camera quality, 8 real-time filters, a 4-in-1 technology for brighter pictures? It also came with a dual front flash. Nothing goes wrong in a selfie. Sometimes, you would want to take a grout selfie, but not everyone can fit on it. It is not that way in camo Cx. Camon Cx has a wide range of selfie angle which will contain a lot of people who would like to take a selfie. IT is only a few of all the smartphones can do this, and the Tecno Camon CX Phone among the few. When you activate the 120-degree wide-angle mode, many people can be able to fit in a wider background. Another exciting feature of the Camon Cx is this; its camera was attached to the fingerprint which means that as the camera is on, you can easily snap a photo by touching the fingerprint sensor. With the fingerprint sensor, you can snap about four shots of photo per second. Its color is not just one; you can choose from Champagne Gold, Elegant Blue, Rose Gold (Pink) and Sky Grey. The choice is entirely yours. With the common CX integrated ring flash system, you can get a better quality picture I a dark place, which is 100 times better than a regular flash. The Tecno Camon CX is designed with a full metal body with aerospace-grade aluminum having the perfect smartphone just got better. With 5.6mm slim and a water drop screen, which is because the harmony 2.5D glass screen posses visual tension. The Camon CX battery is like that of The L9 plus, but the 3200 mAh battery of the CX is still good to go with. Because of its fast charge, the Tecno Camon CX Phone battery charged for ten minutes can stand for about 16 hours, can snape about 1000 pics.